Ready for Strawberry everything!? Florida Strawberry Festival is back with your favorite fruity concoctions: Strawberry Pizza, Strawberry Milkshakes, Strawberry Parfait, Deep Fried Strawberry Cheese Burst, Strawberry Cheesecake, Strawberry Kettle Korn…and it goes on. Along with food, the festival is a great place for the entire family to enjoy strawberry themed rides, music, agricultural exhibits, strawberry contests like strawberry spaghetti eating contest – mmm, yummy! Headline acts will be performing like Kool & the Gang, Pat Boone, Keith Sweat and many more. A different act every day. There will be a battle of the bands – non-stop music! The festival began in 1930. Brain child of the Plant City Lions Club, that wanted to celebrate the harvest of strawberries. In 1948, the American Legion Post #26 gave life to the event, when the Florida Strawberry Festival went on a six-year hiatus because of World War II. The Lions Club and other civic organizations have participated in the Festival ever since. 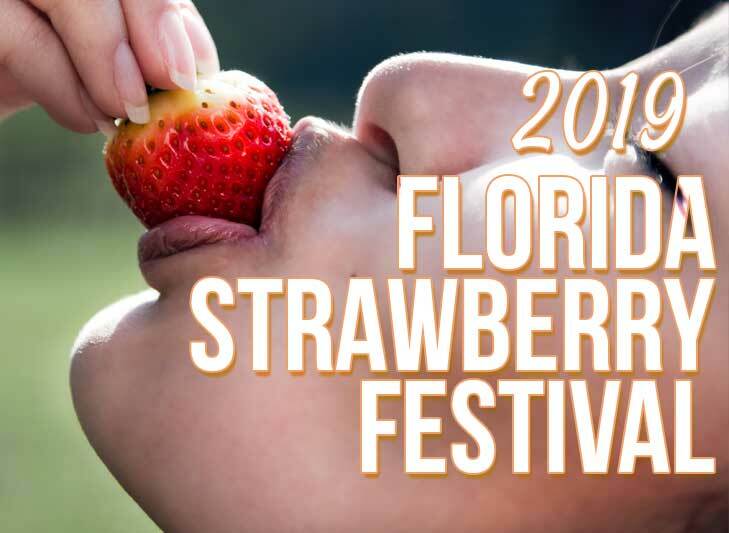 Learn more about the Florida Strawberry Festival here.